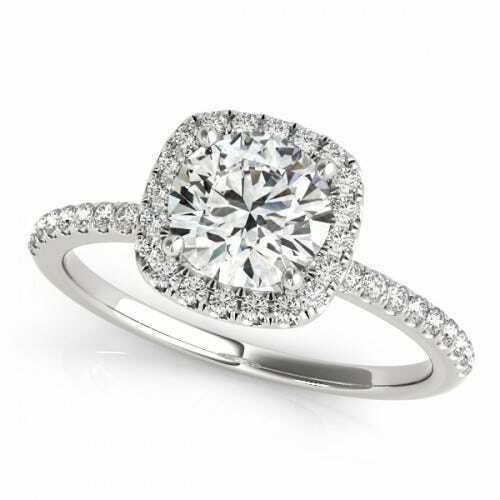 A classic look with a stunning center stone. Traditional and timeless, a solitaire engagement ring will always have a place close to your loved one’s heart. It is impossible to go wrong with one of these simple rings, distinguished by a single diamond on an unadorned band. While they may sound plain, solitaires can be one of the most arresting engagement rings out there; the simplicity of the band highlights the center stone, drawing eyes straight to the beautiful diamond. A solitaire setting will make your significant other’s diamond stand out, no matter which cut you choose. 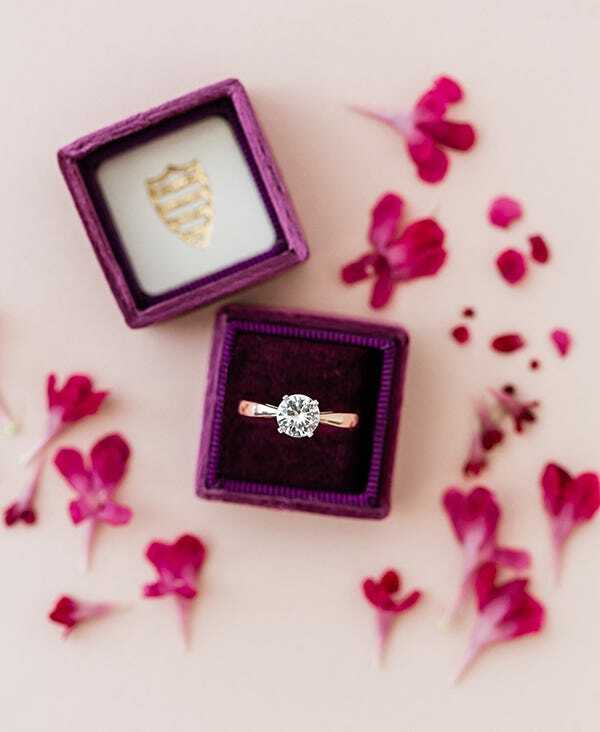 Our vast selection of solitaire settings and diamond shapes holds the perfect choice for your future bride, whether she prefers a classic look or a little bit of flair. First Comes The Stone — When you are looking at solitaires, remember that the diamond will be the centerpiece of the ring. Without a pavé or halo to add extra bling, your diamond will be in the limelight. Carefully choose a stone with few (or no) imperfections, a color that your lady will love, and a carat size that will do you proud. Cuts Galore — One of the best things about the solitaire engagement ring is that any diamond shape you choose will look good. Without side stones, halos, or pavés to contend with, you don’t need to consider anything other than which cut suits your significant other. From pear-cut diamonds to radiant-cut diamonds, the choice is yours. Tie It Together — While there are not many options for adding frills to your solitaire ring, the band does offer room for customization. 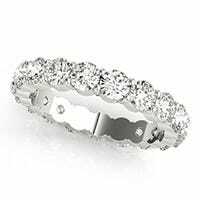 A simple band can keep a complex diamond cut in the spotlight, while a more detailed band can add pizzazz to a traditional shape. 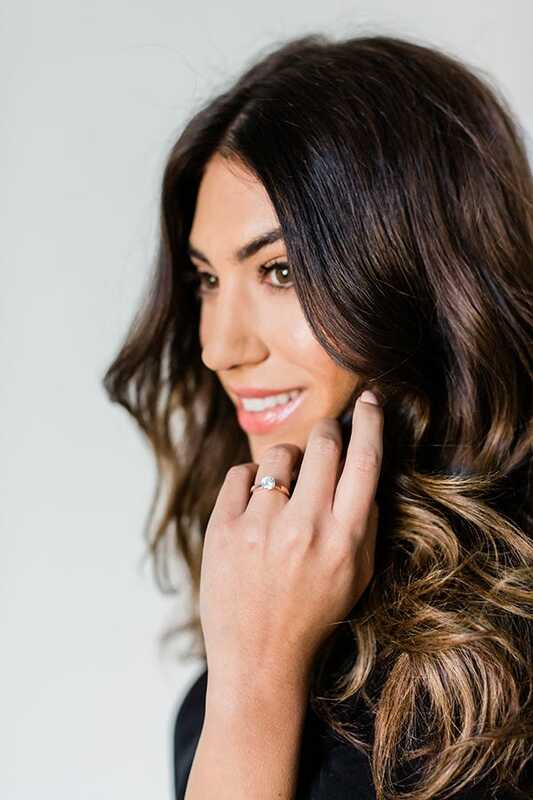 For a well-balanced ring, pair a plain band with an emerald or radiant cut, or combine a weaved band with a round-cut diamond. Add Some Color — Band color is another area where her personality can shine through. While platinum is very popular due to its durability, gold is a more traditional choice. 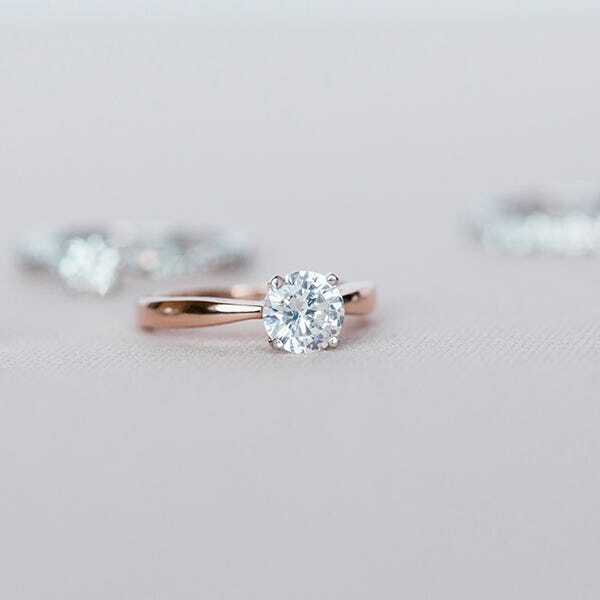 If your lady likes a little bit of daring, go for a rose gold ring, which adds a unique twist to the traditional solitaire. Solitaires are the most popular engagement ring on the market—and the oldest. Diamonds set in plain gold bands were popular in Ancient Rome, and remained relatively popular until a huge boom in the 1940s made solitaire sales skyrocket. Due to the low-profit margins of the Great Depression, diamond professionals decided to try and boost diamond sales in America. While diamonds had been purchased only by the wealthy before, industry leaders began to produce smaller diamonds that they could market to more people. With the infamous “A Diamond Is Forever” advertising campaign, the solitaire diamond engagement ring was an instant hit. Today, solitaire diamonds prove that a single diamond is the most classic design—a design that will probably last forever. Lauren Conrad — Husband William Tell gifted Lauren one of the most classic rings out there. Her two-carat round-cut diamond rests in a four-prong solitaire setting with a plain yellow gold band, and is worth around $40,000. Michelle Obama — While she has upgraded recently, Michelle’s original gift from President Obama was as elegant as you would expect. Her round-cut diamond set in a solitaire and a gold band reportedly cost $10,000. Kate Bosworth — Kate received a classic yet impressive engagement ring from husband Michael Polish. The large princess-cut diamond rests in a solitaire setting on an plain platinum ring. Sarah Jessica Parker — Husband Matthew Broderick gifted Sarah a ring that brings the diamond into the spotlight. Her emerald-cut diamond of approximately five carats rests in a solitaire and a plain platinum band. Keira Knightley — In keeping with her elegant style, James Righton gifted Keira a lovely ring that highlights her delicate beauty. The round-cut diamond, which is one or two carats, is set in a thin, platinum band.